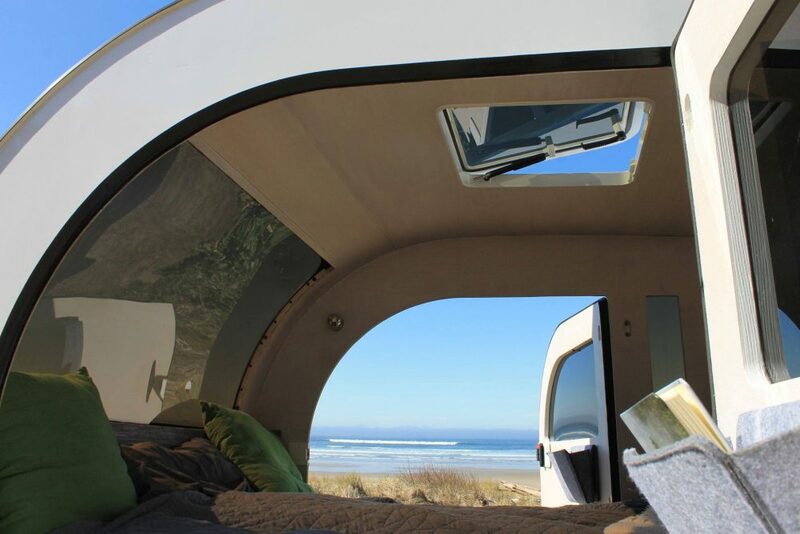 The ultralight Droplet teardrop trailer has a half-dome window in the front, comfy queen bed inside, and full kitchen around back. 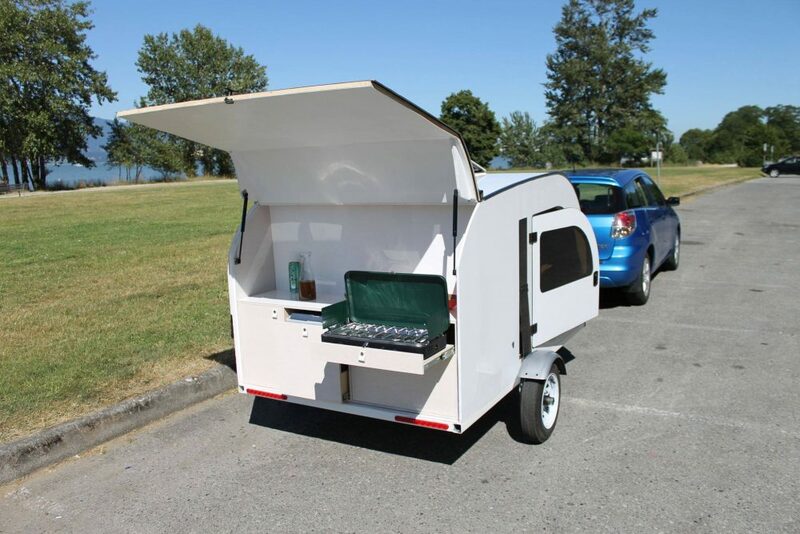 The new Droplet teardrop trailer recently went on sale in March 2018. This ultralight camper inspired by Scandinavian design only weighs 950 lbs and can easily be towed by anything from a Kia Soul to a Ford Focus. 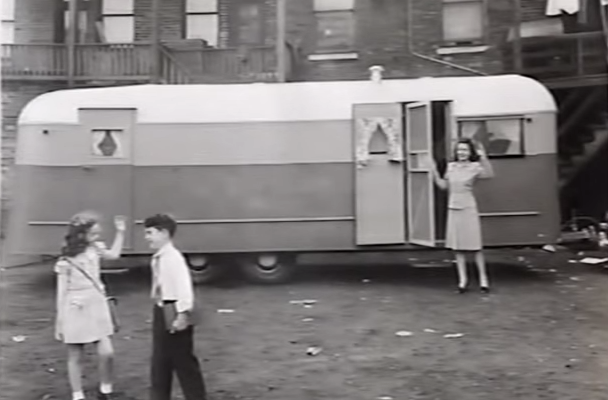 Droplet trailer. Photos via Droplet on Facebook. 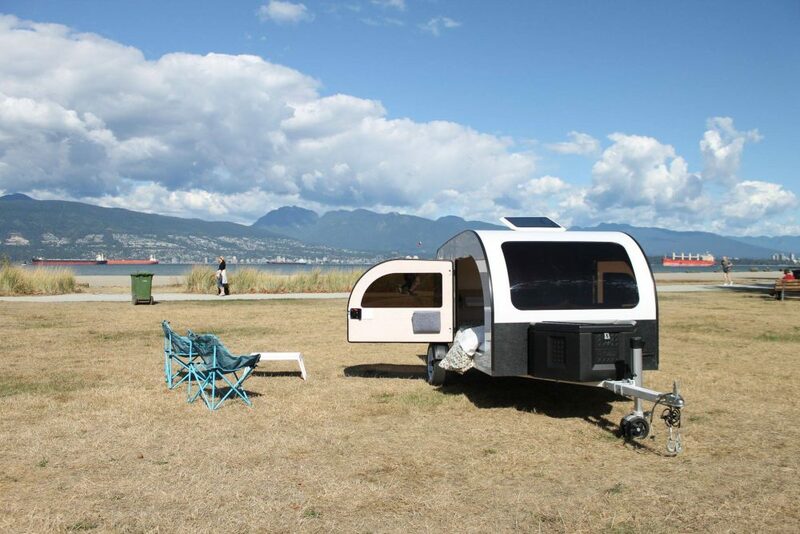 The minimalistic Droplet trailer comes from a new start-up based in Langley, BC. Inspired by the techniques in building boats and aircraft, Droplet uses few screws in their trailers and instead utilizes high-strength structural adhesives. 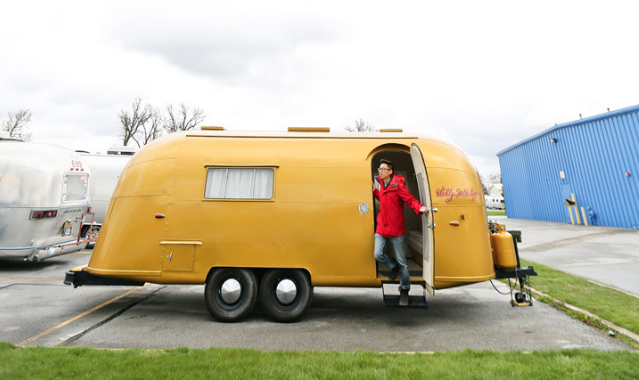 Their trailers have a beautiful wooden interior surrounding a comfy queen bed. Around back the full kitchen has everything you need to prep meals. The cooking space has a countertop and backsplash made of a gorgeous acrylic material that is quick and easy to clean. 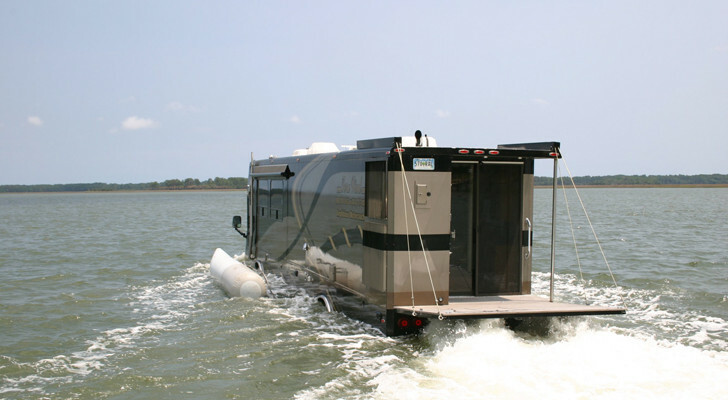 It comes with a sink along with a closed loop water system that is hand pump operated. 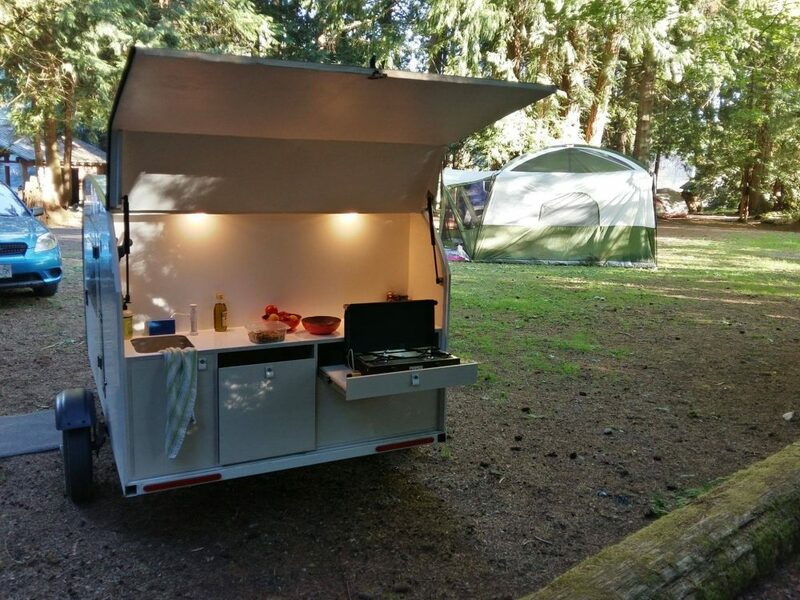 The kitchen also has a 12V slide-out fridge, 2-burner propane stove, and wide pull-out drawers to store your cookware and food. Dishes can be hung on the backsplash to dry and for easy access. Two LED lamps light up the kitchen area and can be turned on by simply tapping them. 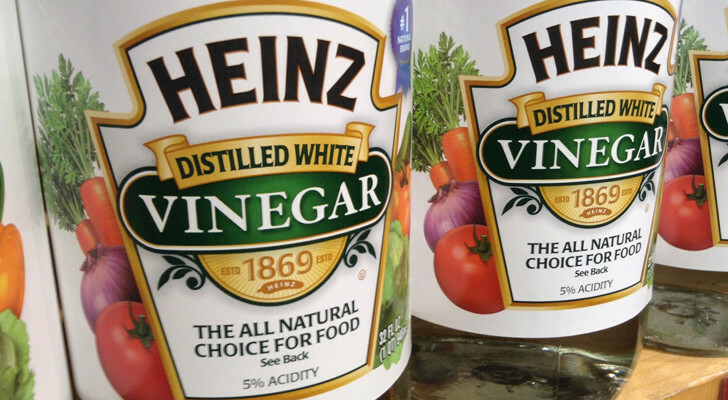 These can be super handy if you’re making food after dark or just want extra light while you’re cooking. 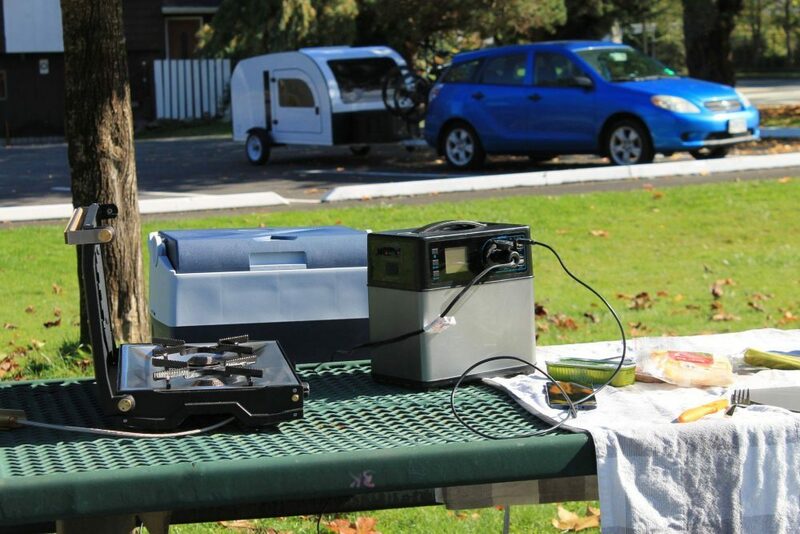 You can also take out the stove, cooler, and battery to cook at the campground or picnic area. 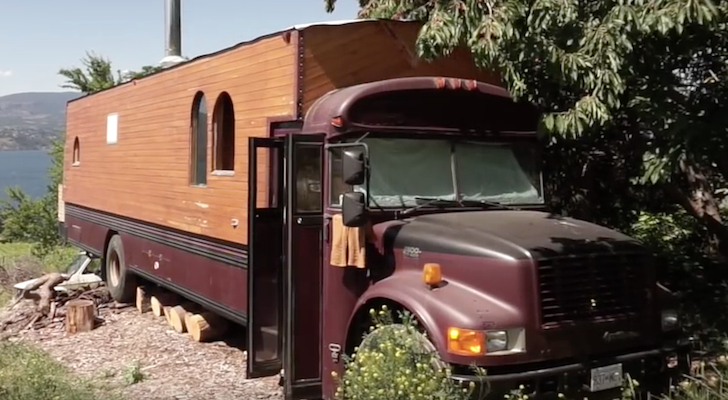 The interior has good airflow and bright natural lighting thanks to its half-dome front window, skylight above the bed, and two wide entry doors. For evenings when you’re laying in bed the interior also has two LED lamps that can be tapped on. 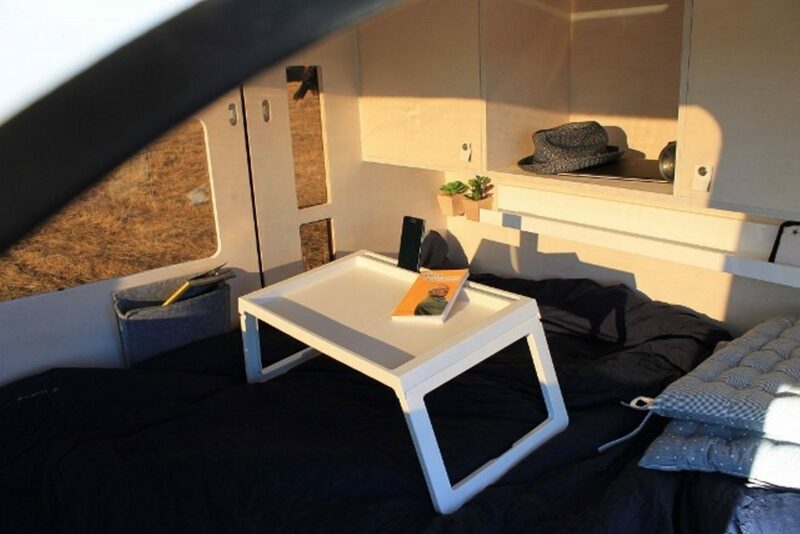 The Droplet trailer is not only well-lit inside, but it’s also spacious with a 6-inch queen bed that sleeps one or two. At the foot of the bed, there are two cabinets and shelves to hold all of your clothing, electronic devices, and other essentials. There are also felt pockets near both sides of the bed for nighttime items like books or glasses. 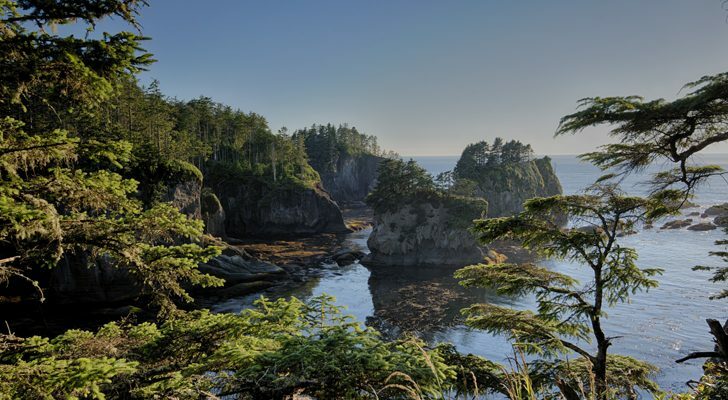 Droplet is following in the footsteps of a New Zealand company and giving back to their customers by dedicating 10% of their profits towards buying land in the US and Canada. 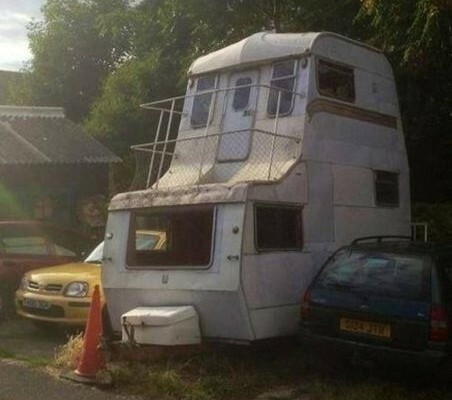 This land will be renovated into free campgrounds for all Droplet trailer owners and renters. 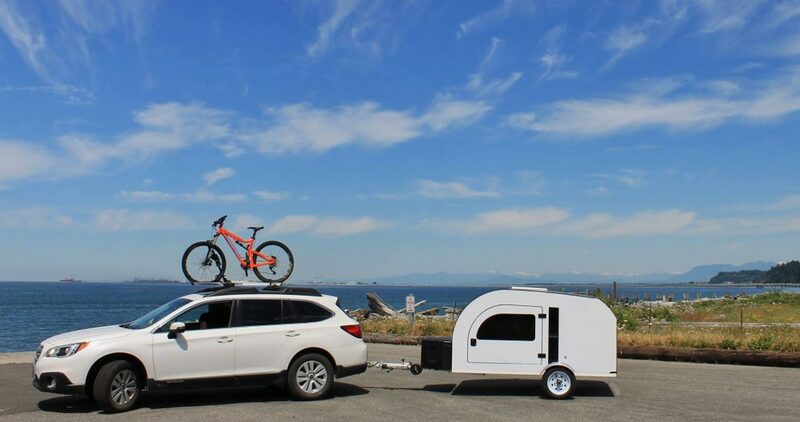 These teardrop trailers from Droplet are new on the market and currently priced at $15,450 CAD. Other options include putting down a deposit and renting one from another owner. 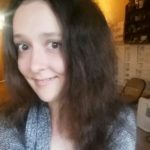 If you want to try before you buy, look into their rentals on Airbnb and Quupe. 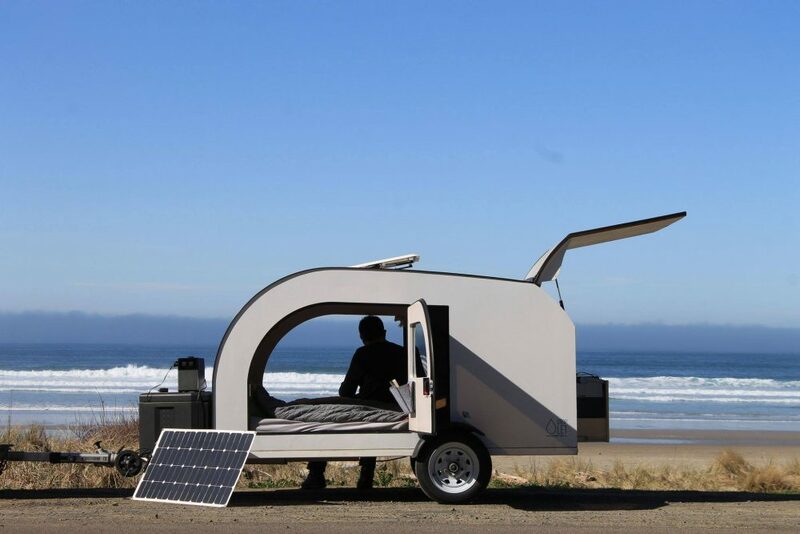 You can learn more about Droplet and their new teardrop trailer on their website Droplet-Trailer.com.